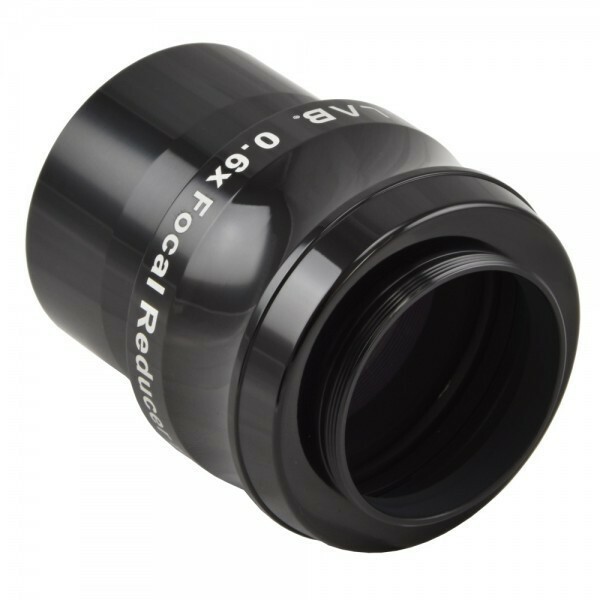 By reducing the focal length of the telescope (for example, a 500mm focal length becomes 300mm), this 0.6x reducer/flattener increases the area framed by the camera sensor. In addition, decreasing the focal ratio of the telescope (for example AIRY APO80 f/6.25 becomes f/3.75), it allows you to record weaker details. Designed for photographic use with AIRY telescopes, it offer an extended correct field and it can be used with many different refractors. Technical note: unscrewing the 2" nosepiece reveals a M54 thread. This might make it possible to attach it to certain field rotators, like Rigel Systems'. The 0.6x reducer/flattener into 50.8mm connection of the focuser (in front it has a thread for connecting 50.8mm diameter filters). Rear (camera side) it has a T2 male thread and therefore it can be screwed directly onto the DSLR cameras ( using a T2 ring of the camera brand) or to a CCD camera (with T2 female thread). This reducer/ flattener, in order to offer the best performance, requires that the camera sensor is positioned at 55mm distance from the reducer thread. This is precisely the distance provided by connecting the DSLR camera with T2 ring. 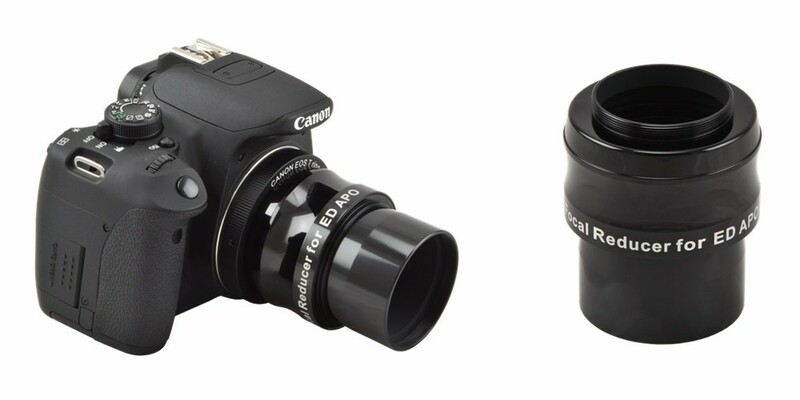 For the use of CCD camera (that offer a sensor placed in more front position than the one of a DSLR camera) it is necessary to add a T2 extension. To calculate the required thickness, you can use the formula: required T2 extension = 55mm required distance - CCD camera back focus.